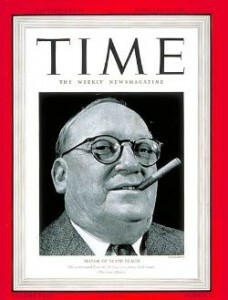 On February 19th, 1940, the Mayor of Miami Beach, John H. Levi, appeared on the cover of Time Magazine. Levi was the man that was responsible for bringing Carl Fisher to South Florida. He was invited by Fisher to join him on a journey in the Yacht that he brought him in 1909. This trip led to a life-long friendship between the two men and further ensured Levi’s role in the development of Miami Beach. John Levi served as Mayor of Miami Beach from June of 1937 until June of 1941. 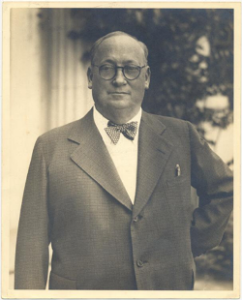 He also served as Mayor again for another year from June of 1944 – June of 1945. John Levi’s name was once again in the news in 2015 when the owner of 44 Star Island Drive wanted to raze the home at this address and to replace it with a new and modern home. 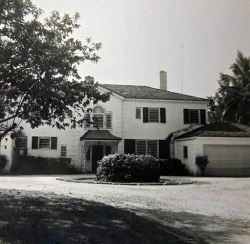 The current home was built by John Levi in 1935. The Miami Beach Design Review Board approved the new design in December of 2015. Despite best efforts by preservationists, it appears that Levi’s former home will be demolished.